You can count numbers all around you, from the eight legs on a spider to the one nose on your face. But can you the animal species found in the rainforest or the fish in the River Amazon? 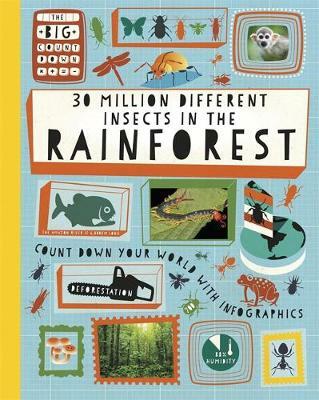 Find out all about RAINFOREST in THE BIG COUNTDOWN, including its extraordinary variety of plant and animal life, its tribal people, its layered structure, its role as an oxygen producer and why we need to protect it. The Big Countdown looks at popular topics and investigates the great many numbers that make them fascinating. From the mind-bogglingly large to smallest and most precious, this series helps us understand that it's not just our days that are numbered.